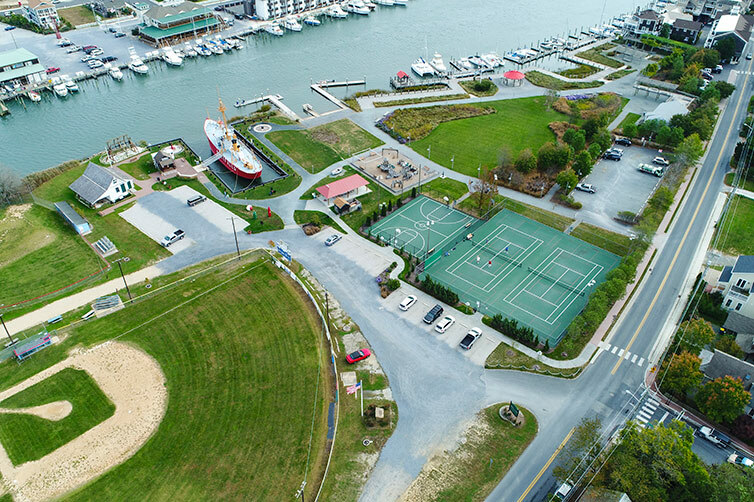 Century played a key role in the redevelopment of a 35-acre brownfield site located at the heart of Baltimore City’s Canton neighborhood. Quick response to program revisions, providing innovative solutions, and coordinating with numerous stakeholders made the Century team vital to the success of this project. 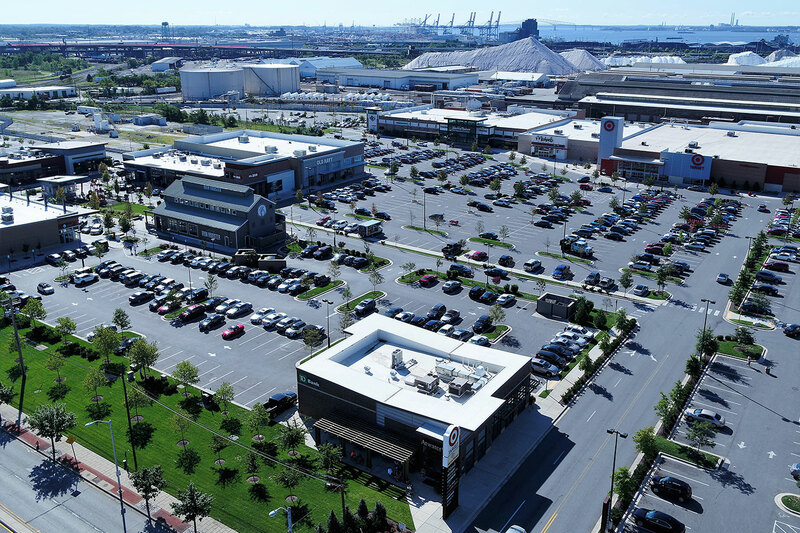 A bustling area with a suburban feel, Canton is a popular choice for those looking to live and work in Baltimore, but for several years lacked convenient retail and dining options. 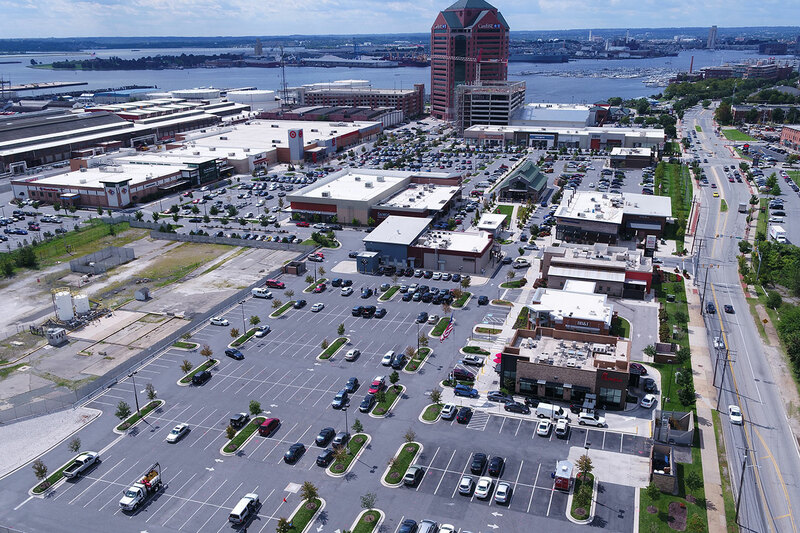 To optimize the 326,000 square feet of redeveloped space, Century’s planners and engineers participated in design charrettes with the architects and stakeholders, preparing PUD drawings, site plans, and construction drawings. 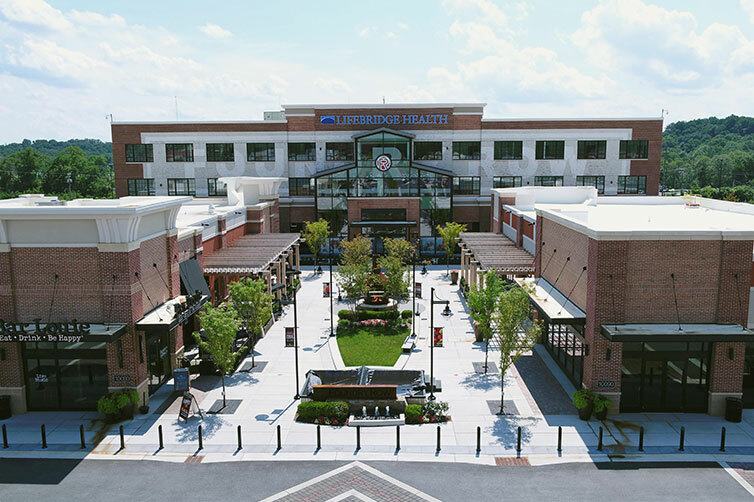 The layout of Canton Crossing focuses on pedestrian access, with tree-lined walkways, special pavers, benches, and lighting contributing to its neighborhood feel. The project design also took a Transit Oriented Development (TOD) approach to accommodate potential future public transportation. For those accessing the development by vehicle, there are 1,200 parking spaces, including room for parallel parking. Stormwater management design was a challenge, as the site required extensive space for parking. Bioswales were introduced to create pedestrian linkage and assist with meeting SWM requirements. Reuse of an existing concrete vault for storage provided another innovative solution.